Come and celebrate our tent's 50th anniversary at our special Saturday night event on September 16. Admission for the Special Event are $25.00 for members and $30.00 for non-members (advanced registration is required). There will be games and prizes, followed by a crew feed meal. Cafe on Location will serve chicken, fish, and pasta, along with salad and veggies. For our program, we will start by honoring members who have been members the longest, members who have been to more than 50 meetings, and members who have worked for the Tent behind the scenes. After a cake break, Jim MacGeorge will once again entertain us with some of his excellent stand-up. Then, our tent members, Bob and Anne Tyszka, will recreate a Jeopardy Laurel & Hardy Game right before our eyes. Study your Laurel & Hardy trivia and mark on your registration form that you want to play their Jeopardy Laurel & Hardy Game. Our video program will follow. We will see all 106 Laurel & Hardy films (in about two minutes), then we will see interviews with all eight of our tent's Grand Sheiks and Lori McCaffrey (who has been there since the first meeting). We will also see some highlights of celebrities that had been members of the tent and attended meetings or banquets. After our final break, we will screen our Tent's namesake film, Way Out West. Don't miss the event that has been 50 years in the making! 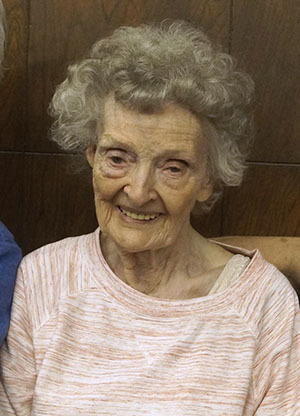 Stan Laurel's daughter Lois passed away on July 28th. Many of our members had the chance to meet Lois, and long-time members will remember Lois as a regular attendee of meetings, banquets, and conventions. She was the daughter of Stan and his second wife, Lois Neilson. Her only sibling died shortly after birth. Stan Laurel gave his daughter uncredited appearances in several of his films, and later in life Lois loved to share her memories and experiences. As Oliver Hardy had no children, she really became the spokesperson for both the Laurel and the Hardy families after the death of Oliver Hardy's widow. Lois had two children, five grandchildren, and nine great-grandchildren. My family and I miss Lois. Not because she was Stan Laurel's daughter, but because she was a dear friend of our family. I have to admit that the first couple of times that Lois talked directly to me, I was a little bit awed, but over the years my shyness disappeared. Lois was a kind person, always easy to talk to, and very friendly. Kris, Jimmy, and I soon became good friends with her. Such good friends that when her husband, Tony, passed away suddenly, Lois invited Kris, Jimmy and me to keep company with her for the whole next day, after Tony died. We had a lot of conversations with Lois over the years, she could talk about almost anything. She also told us some interesting Laurel & Hardy stories too. When Jimmy and Ellen got married, Lois and Cassie came to their wedding. Kris, Jimmy, and I visited Lois for the last time exactly a week before she died. She was highly medicated and not in good shape, but still managed to smile at us when each of us talked to her. We'll never forget Lois and her friendship. I can not remember a time, in my adult life, that I did not know Lois, but I think we must have met in the late 1970's. Lois was the type of lady who just fit into any setting, and was totally natural and comfortable with the surroundings. She was quick to smile and had a kind word for anyone, never putting on airs, and always interested in what one had to say. Lois and Tony more or less raised three of Lois' grandchildren and they in return showed their tremendous love and affection towards her and gave her what every Grandmother and Great Grandmother could ever wish for--undying love, affection and care. Her granddaughter Cassidy was her main care giver for many years and no one could be better cared for and loved. They were great friends on top of it. Lois was quick to give me a call, or I the same, when we had something we wanted to talk about, or just the normal silly "girl stuff." Seldom did we speak of Stan, or Stan and Babe, but just normal everyday things in life and a lot of silliness. Many a good time was spent on the phone. When, we as a family, would visit with Lois, she was sharp as a tack and had so much information to share about Stan and Babe with "MY" boys. She could remember the smallest of details and gave information freely. Those visits with Lois, Cassie, Lucy, and Tommy will be always a special part of our lives. It will be hard for all of us not to have Lois here with us, but in spirit she will surely remain and be so remembered for the lovely lady she was...never to be forgotten. Lois Laurel was one of the most honored celebrities amongst the Sons of the Desert--and for good reason. No one else knew Stan Laurel as she did. She was an expert on the details of his career, but she also knew him as a dad. For this reason, everyone wanted to meet Lois and talk to her about her father; to gain some insight that can't be picked up by reading a book or watching a film. 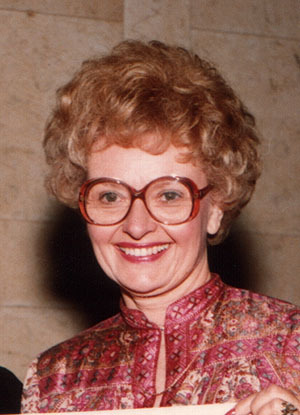 Lois was very generous in sharing her time and knowledge with fans, much as Stan had when fans came calling during his final years. Lois loved the Sons of the Desert, and because she was in contact with so many members around the world she was a conduit through which news traveled before e-mail and the internet. She would call me at work to tell me a piece of news we may need for the newsletter, or to tell me about a new book she just heard about. Then she would always ask what was going on in my life, and let me know what she was up to. She spoke frequently of her grandkids (and later her great-grandkids), and she would fill me in on her and her husband Tony's latest plans to move (to Monterey or Catalina or someplace equally tranquil). As the years went by, I saw Lois less often and I spoke to her very infrequently. When we spoke, it was all about my wife or my kids--Laurel & Hardy were no longer at the forefront. She had become more like a grandma. She was one of the family. Shortly before her death, when my family went to visit her, my eyes were immediately drawn to the photo of Stan Laurel on her night stand. I've spent my entire life surrounded by Laurel & Hardy and die-hard fans of the duo. So a framed photo of Stan Laurel sitting on a table is nothing out of place for me. But there was a momentary disconnect for me. That wasn't a fan's photo of their favorite comedian, it was her dad. I had forgotten (if just for a moment) her significance amongst the Sons. She was just Lois. She will be missed. At our July meeting we screened Brats, Fishy Tales, Little Papa, and Beginner's Luck. We had two special guests for our meeting, and they both were great. Jim MacGeorge was the first guest up and did about 30 minutes of stand-up that really went over well with our members and his fans that came with him. It made me feel good for Jim. He's such a nice guy. Our second guest for the meeting was Sidney Kibrick, better known as "The Woim" to Our Gang fans. Sid gave very good answers to our member's questions and seemed to really get them interested in Our Gang. All of the films for the evening got a lot of laughs and that made me happy. As I later told Sid, when I talked to him on the phone, "We should do this again." He agreed. Thanks again to Bob Satterfield for arranging Sid's visit to our Tent. Also big thank you's to Jayne Barnhart, Bob Duncan, and Christa Demirjian--the young girl who drew raffle tickets for me. We raised a little over $200 from the raffle. Thanks to everyone who bought raffle tickets. The final plans for next year's International Sons of the Desert Convention in Cincinnati, Ohio are coming together. Direct flights between Los Angeles to Cincinnati take a little over 4 hours and are generally reasonably priced. While our tent always has a small contingency, we would really like to see more of our members supporting the International Conventions. 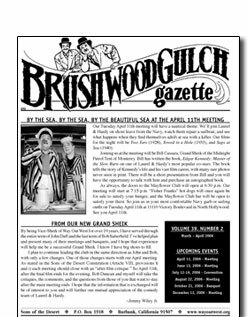 If you have an interest in going, we encourage you to check out the convention website and talk to us at a meeting (or email us) so we can tell you more about what to expect at a Laurel & Hardy convention. Registration forms are now available. The convention website is laurelandhardy2018.com and their Facebook name is Cincinnati2018.